The Finest Hunting Destination in the East! One of the nation's foremost trophy hunting facilities. 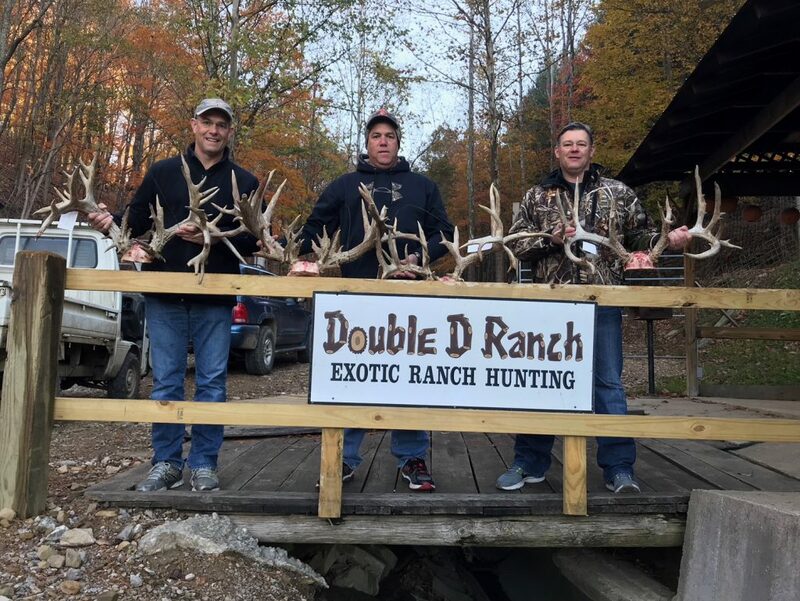 Nestled in the heart of Southern Ohio’s spectacular alpine wilderness lies one of the nation’s foremost trophy hunting facilities – the Double “D” Ranch. The sprawling ranch and hunting operation, the Double D Ranch offers serious hunters an opportunity to challenge their ruggedness and outdoorsman ship to achieve SCI and ROE record breaking game trophies. Ram, deer, antelope, sheep, wild boar, goat, and elk are available year round. Other species are available seasonally and on request. Sporting comfortable accommodations right in the hunting area itself, the Double D provides the best trophy available at a fraction of the cost of a safari. What’s more, there are no trophy fees, no guide fees, free skinning, free quartering of meat, free field dressing, a walk-in cooler and attentive personal service for every aspect of your stay. At the Double D Ranch, we know that hunting kindles a frontier spirit in people. The months of anticipation, weeks of preparation, hours of stalking and waiting comes down to a few seconds. Understanding this challenge is what drives us to provide the most unique hunting experience possible.